We specialise in a select few premium quality coloured fish of unsurpassed rarity that are cultivated in pristine Australian waters. Because our fish are raised in large schools, they are accustomed to company and it is important for the wellbeing of the fish that they are kept in groups of 5 to 10 fish or one individual alone. 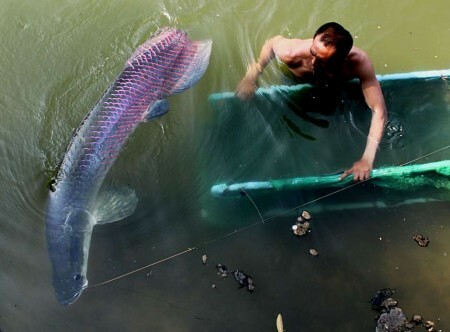 The fish are sold when they reach sizes between 20cm (approximately 1 year old) and 100cm (3-4 years old). Ideally a small school of Premium White Diamonds belongs in a large acrylic display tank, pool or pond, or an aquarium that is at least 3,000L in size for a single fish. Our fish have character as well as an intense and unique beauty. Unlike traditional aquarium fish, our collection offers luminous underwater beings that nourish your eyes and spirit and make any grand residence even more magnificent. The stunning colours and unique genetic qualities of the fish in Jardini International’s collection are almost impossible to attain. The chances of cultivating a Premium Gold is one in 8 million. Just a handful of our signature fish, the Premium White Diamond, can be offered every year because of the scarcity of resources and facilities required to bring them to life. We are the exclusive suppliers of Premium White Diamond, Premium Gold and Golden Tigers worldwide. Only a select few can own and experience these incredible natural works of art. We don’t just produce a living thing, we create dreams. Pure white, gold, and tiger-striped occurrences of the Lates calcarifer species are highly improbable in nature. Our collection comes about through a combination of sophisticated aquaculture expertise, genetic knowledge and patience. Our scientific advisers conduct DNA research to determine fish that will create offspring with the unique and desirable colour traits that make our fish remarkable. They then use complex genealogical insights and breeding techniques to refine the blood line. Breeding occurs in the pristine waters of Australia, known internationally for its excellent water quality. The intricacies of the process means it’s only possible to create a small number of fish each year. Among the most elusive breeds in the world, Premium White Diamonds are fish rarer than precious gemstones. The Premium White Diamond is the result of a genetic mutation within Australia's native Barramundi species that occurs in merely a few instances. This seldom-seen fish - considered by many an unobtainable dream - is now available in extremely limited quantities exclusively from Jardini International. Undeniable beauty and exceptional rarity make these attention-grabbing fish one of the most awe-inspiring and sought after varieties available. With so few individuals produced each year, Premium White Diamonds can only be made available to a small group of fish keepers. Through selective breeding in a controlled environment, Jardini International exclusively facilitates the unique creation of these beautiful fish. Under normal conditions, fry of this species are indistinguishable from one another at birth but on occasion (1 in 8 million) fish will display a rare platinum pigmentation as they begin to mature to adults. A radiant white diamond pigmentation in this species results from an occurrence rarer still: the successful mating of two hand selected platinum fish. However, even when such mating produces offspring, pure white diamond pigmentation is still not guaranteed. Quite understandably, successful production of Premium White Diamond offspring is an extreme rarity so infrequent that it is considered random in fisheries as well as in nature. 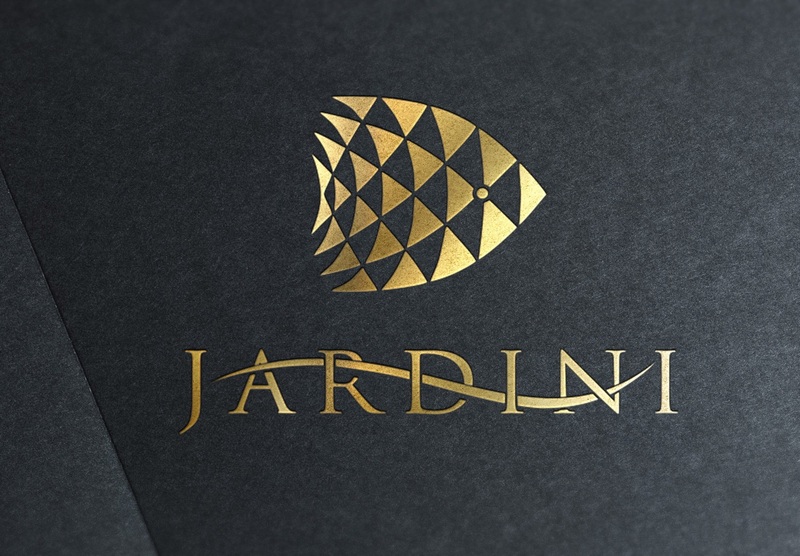 In spite of this natural paucity, Jardini International is pleased to offer limited quantities of selectively bred Premium White Diamonds to collectors who are eager to count themselves among the world's most exclusive group of fish-keeping enthusiasts by adding this elusive variety to their collections. Premium White Diamonds embody impressive historical and cultural significance in their native region. Known to Australia's indigenous people for centuries, the barramundi features prominently in the country's native legends. One such legend tells how an ever-elusive barramundi leapt over a fishing net and, while doing so, shed scales that later turned into diamonds. The allusion found in this allegory is sound, because the Premium White Diamond truly is a precious gem among aquatic life forms, in terms of both its rarity and its luster. Each Premium White Diamond carries with it the rich history of Australia's Indigenous people, serving as a living connection to an ancient spirituality rooted in nature. One look at this regal, expressive, and conspicuous fish and the onlooker gains an appreciation for all the storied history with which the species is inexorably linked. This makes the Premium White Diamond a conversation-starter as well as a companion for its owner. The Premium White Diamond is an emotive, animated, and attractive fish that inspires wonder and invites attention. The variety is also highly intelligent and remarkably responsive. These traits, along with the Premium White Diamond's striking appearance, elegant movements, and large size make it the discriminating fish keeper's ideal companion. Premium White Diamonds, like all barramundi, can live for up to 25 years, making them the perfect long-term companions for owners of sizeable tanks, pools, and ponds. Additionally, Premium White Diamonds are versatile and can live in freshwater, brackish, and marine environments. 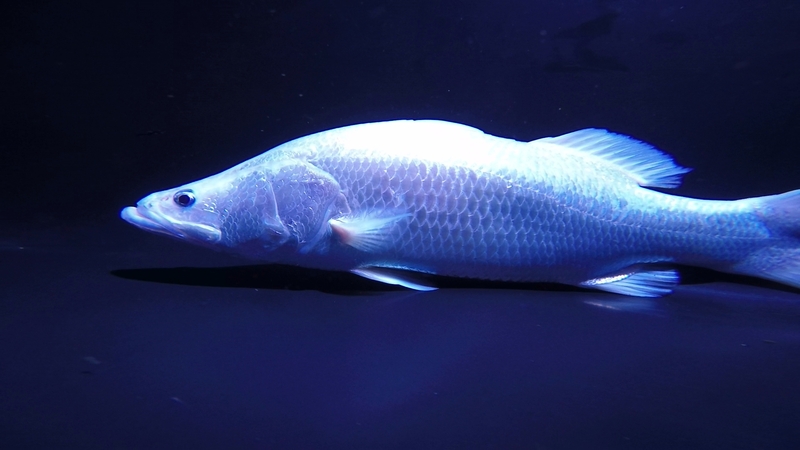 Although the mutation that causes radiant white pigmentation in barramundi is indeed quite rare, the species typically lives in large schools, making the Premium White Diamond an incredibly social fish with others of its kind and people alike. For this reason, the ideal environment for the Premium White Diamond is one that is large enough to support its wellbeing alongside other pure white or plain barramundi cohabitants. Long-lived and surprisingly intelligent, the all-around impressive Premium White Diamond unfailingly situates itself as the crown jewel of any collection in which it resides. Sure to mesmerise guests and inspire conversations for years to come, this exquisite creature is perfect for the collector in search of an ornamental aquarium fish that simply cannot be ignored. Jardini International has spent years conducting DNA research into the ideal biological and environmental conditions for producing Premium White Diamonds. As a result, our selective breeding process allows us to offer this incredibly rare ornamental fish in limited quantities. In light of the difficulties found in commercially producing pure white barramundi offspring, even in a controlled environment, Jardini International is proud to furnish, for the serious collector, a once-in-a-lifetime opportunity to own a fish rarer than diamonds. THERE ARE ONLY THREE PREMIUM WHITE DIAMOND FISH AVAILABLE WORLDWIDE. Rarer than diamonds, you now have the opportunity to own one of the world's rarest and most sought after fish. With a worldwide quantity in the single digits, owning a Premium White Diamond will place you among the World's most exclusive group of luxury fish owners, and will be sure to position you as the desire of all of your associates.